Sold yesterday on ebay to a 1-star buyer. Relisting it here and there. 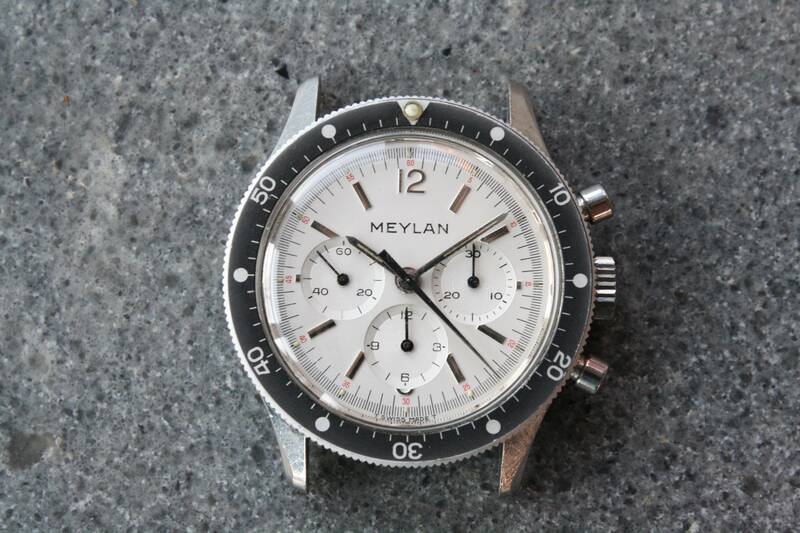 On offer's a Meylan chronograph powered by the Lemania 2310/Omega 321. 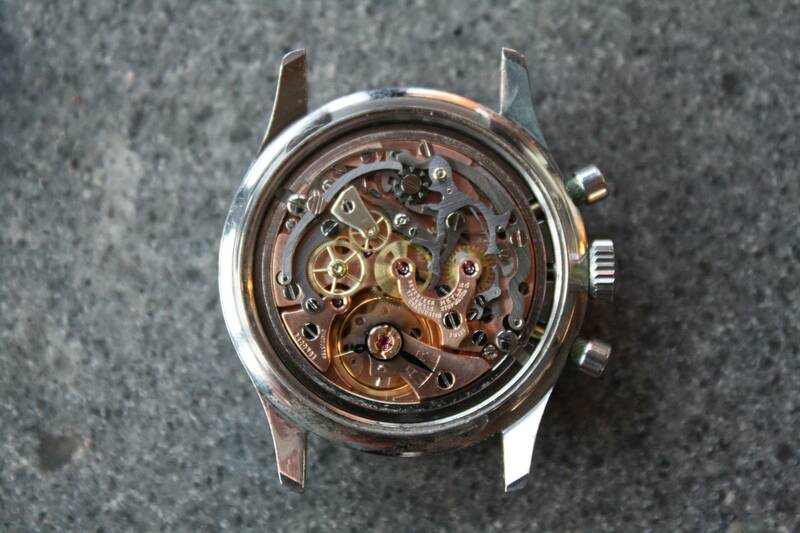 The signed movement is in superb condition, keeping exceptional time, and all chrono functions start/stop/reset as they should. The watch was serviced just more than a year ago. 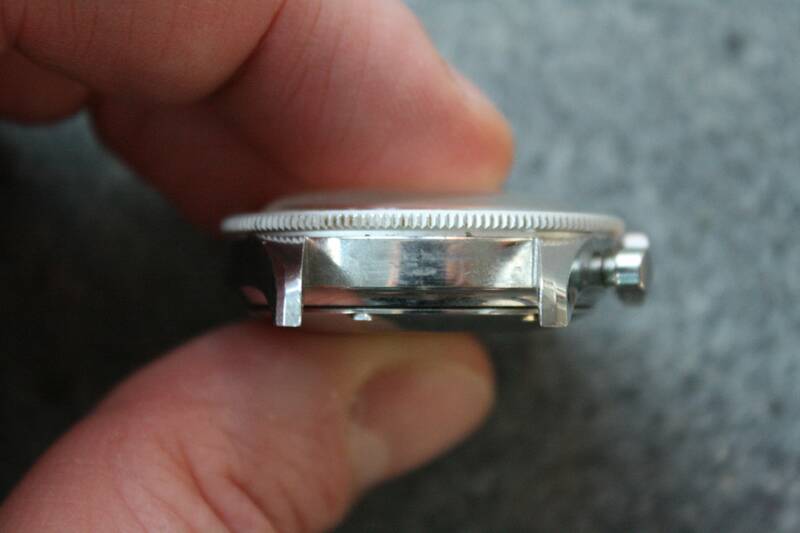 The stainless steel case is 38mm without the Lemania-signed crown, but wears larger because of a 38.5mm bezel. 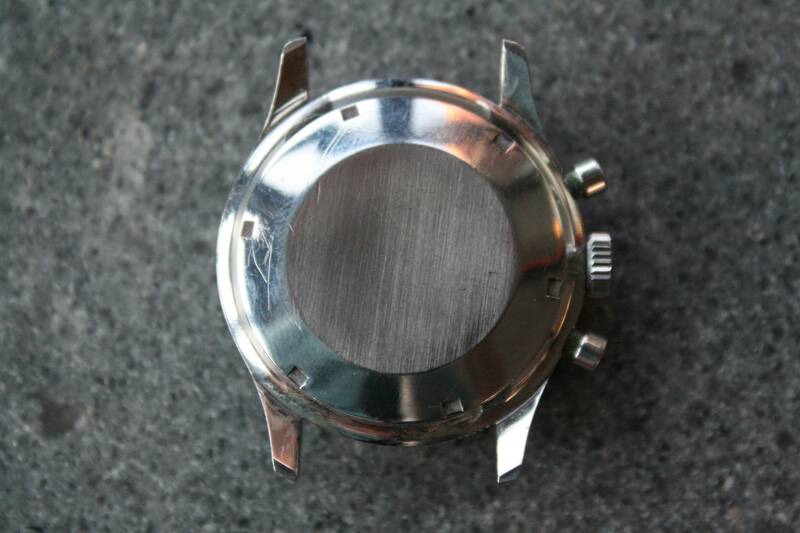 The case itself is in good shape, having never been polished. It has light scuffs from normal wear. There are a few marks on the back from poorly executed attempts at opening the case. 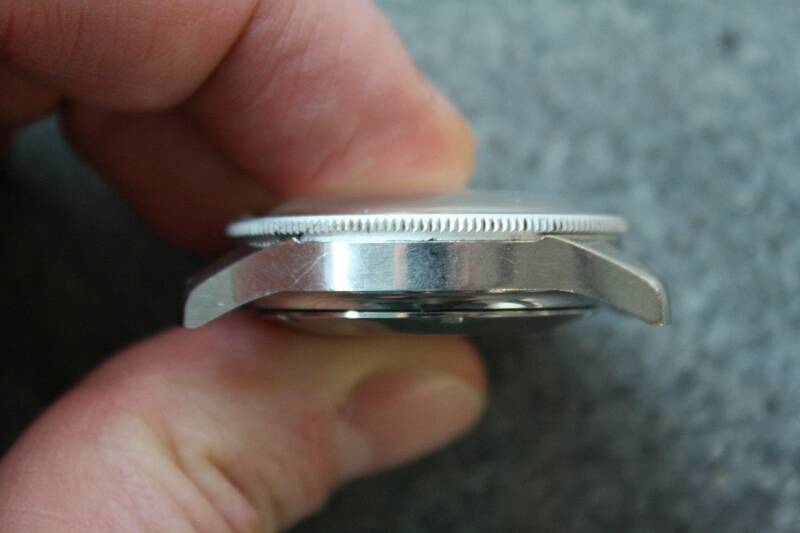 The aluminum bezel is fading but has no chips or marks. The lume pip is original. 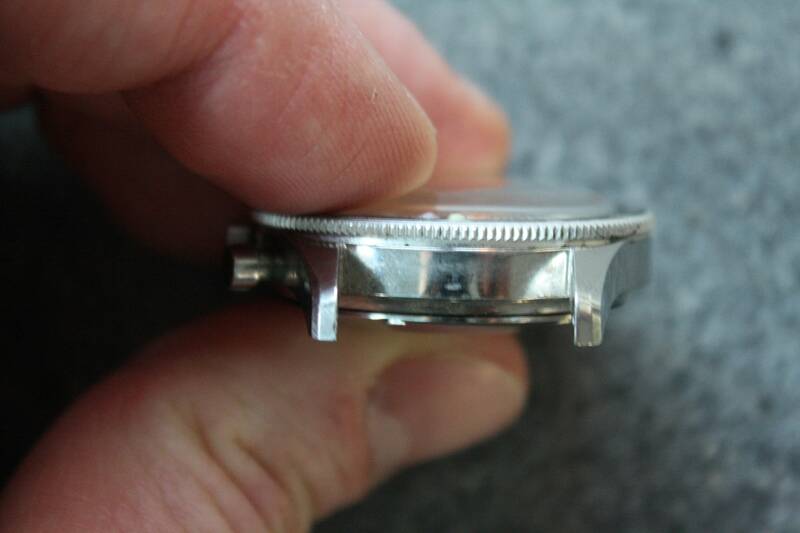 The inside of the caseback is also signed Meylan Stopwatch Co, with reference number 815A printed as well. The dial and hands are original and in good shape. 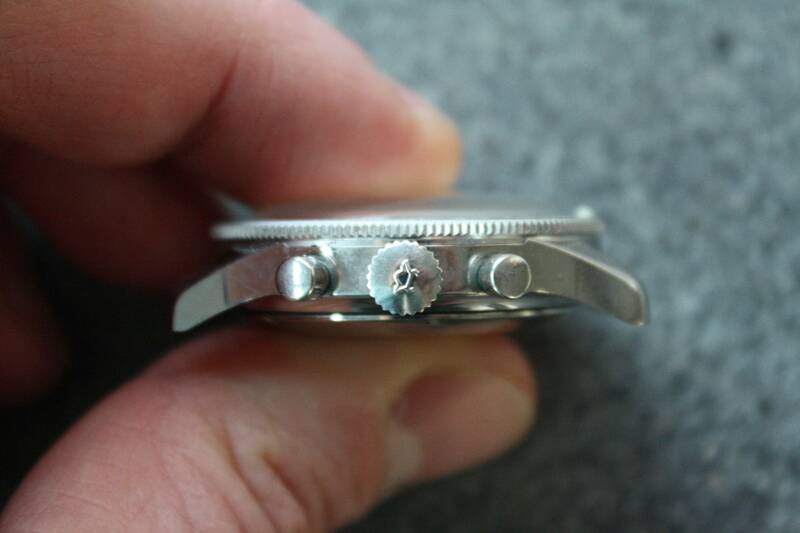 The lume plots from 1-4 have powdered away, and the ones at 11 and 12 are smaller than the remaining ones. The applied indices are all excellent. 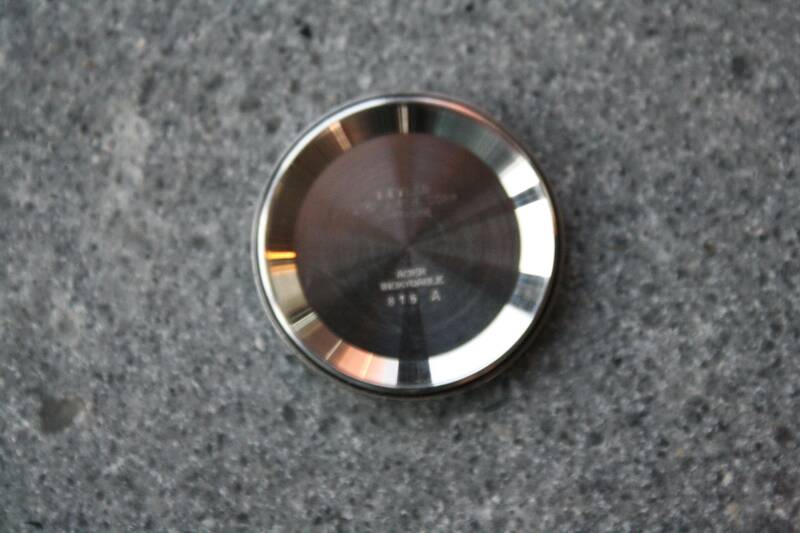 There are no marks on the dial or hands that I can see. Asking $5000. Happy to send more pictures, provide references, answer any questions, and to work out shipping/payment with buyer. Thanks for looking, and to Jeff for the space.